Riders taking part in endurance cycle event Etape Loch Ness will get a sweetener to entice them across the line after a bakery agreed to serve up its signature cake to cyclists as they power towards the finish. Harry Gow has just been announced as a support sponsor of the 66-mile sportive – and will be giving cyclists the chance to refuel at the final feed station with one of their famous dream rings. Dream rings – a cream-filled sweet bun topped with icing – have a legendary status in the Highlands and are one of the family bakery’s best-selling products. Now they will be served up to over 4,200 cyclists taking part in Etape Loch Ness on April 24. Fraser Gow, a director of the firm, says, “It’s not exactly a carrot on a stick, but we hope that handing out dream rings as the riders approach the final 10 miles will give them the push they need to start dreaming of the finish line. 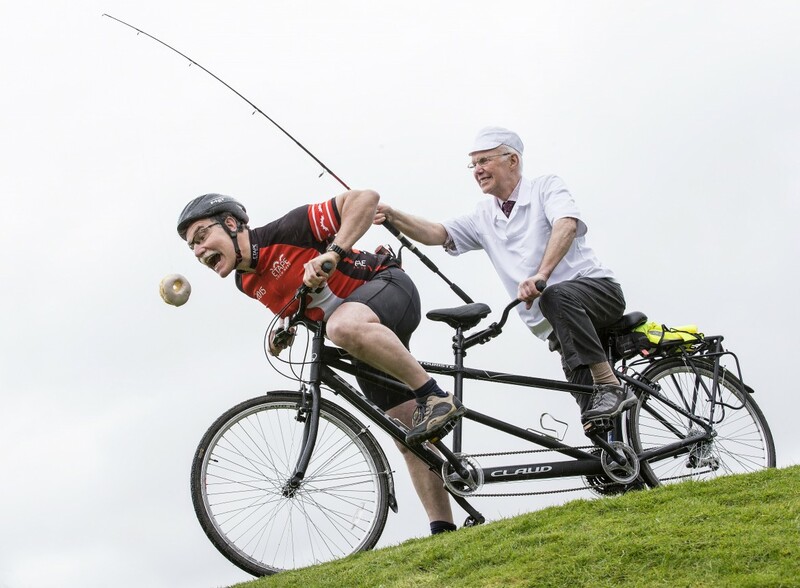 “My dad is now 81 but he still rides his bike everywhere – he gets the balance right between enjoying his cake and being active. After cycling 56 miles to the final feed station and after taking on the King of the Mountain stage, the cyclists will have more than earned their dream ring. “Dream rings are one of our biggest sellers and I’ve heard of people travelling for miles across the Highlands just to buy one. Some people even claim to have a borderline addiction to them! “We know a lot of cyclists taking part in Etape Loch Ness will be coming from other parts of the UK and even overseas – they might think that shortbread is synonymous with Scotland, but anyone in the Highlands will tell you that our national confectionery should really be the dream ring. Harry Gow will also donate chocolate crispy cake and tiffin from their new range of tray bakes – which also includes rocky road, millionaire shortbread, and cereal bars – into finisher goody bags. The bakery, which is run by Harry and his children Fraser, David, Jane and Sara, become the first to win the title of Scotland’s Baker of the Year in 2012. Harry Gow prides itself on baking everything from scratch: the bakery uses only the best ingredients and works very hard to ensure its products are every bit as tasty – or tastier – as homemade baking. 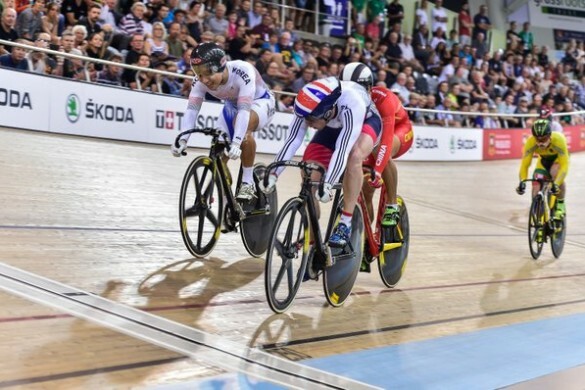 Event director Malcolm Sutherland says the chance to refuel with the legendary local dream rings is just another reason for cyclists to fall in love with the event. 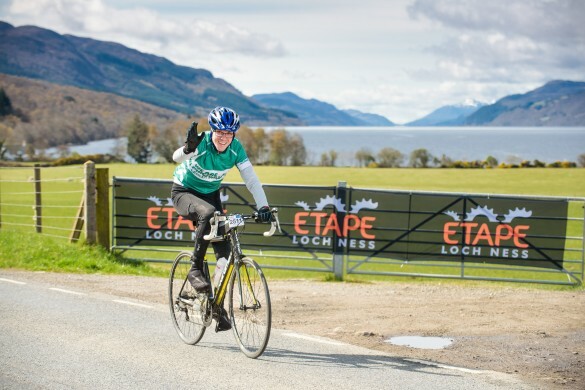 Entry for Etape Loch Ness sold out in just 51 hours when entries opened last October – the third year in a row that the sportive has been fully subscribed. He adds, “If it’s not enough that riders get to cycle one of the most beautiful routes in Scotland on traffic-free roads, now they get to do it while eating one of the most amazing cakes they will ever taste. 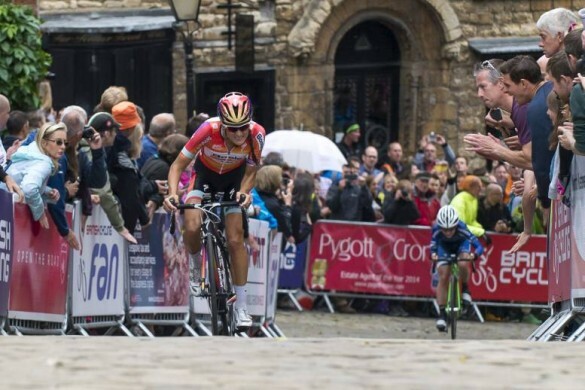 “Cycling is a very sociable sport: for lots of clubs that go out on runs, their route is quite often dictated by where they can stop for coffee and cake. I suppose you could say that the final feed station is the ultimate cake stop. Etape Loch Ness starts in Inverness and follows a 66-mile closed-road route around the iconic loch. Following the A82 along the northern side of the loch, the route passes through Fort Augustus onto the south side for the most challenging leg of the course – the King of the mountain – a 4.8 mile climb which rises to 380m in height. The route then continues around the southern side of the loch before returning to the Highland capital.